MOREL CAT 328-104 Tweeter is a 104mm faceplate diameter soft dome tweeter, with a 28mm Hexatech replaceable Aluminium voice coil. It features Morels’ IDR™ Improved Dispersion Recess aluminum face plate, ferrofluid cooling and high power handling. 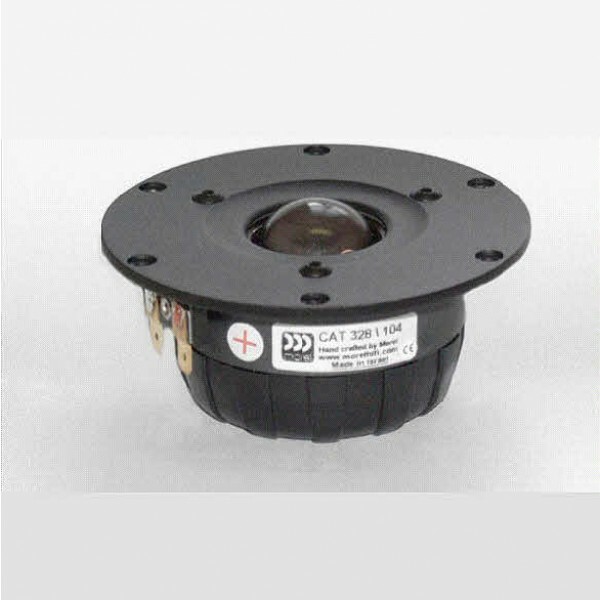 MOREL CAT 328-104 Tweeter is a new 104mm faceplate diameter soft dome tweeter replacing and upgrading the MDT-32S, with a 28mm Hexatech replaceable Aluminium voice coil. It features Morels’ IDR™ Improved Dispersion Recess aluminum face plate, ferrofluid cooling and high power handling. Priced individually, supplied in pairs.